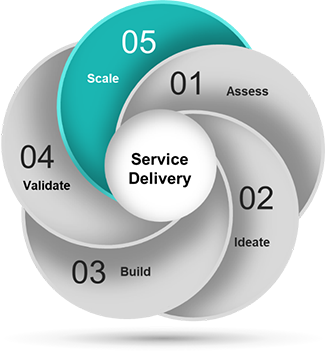 The first phase of the delivery mechanism is the assessment phase and during this phase a clear definition of the assessment and its goal along with the mechanism is laid out. 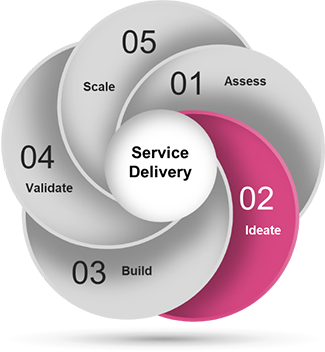 The second phase of service delivery is the ideate phase. During this phase CommuForce engages with the various stakeholders to brainstorm and generates a storyline. It also prioritizes the goals during this phase. 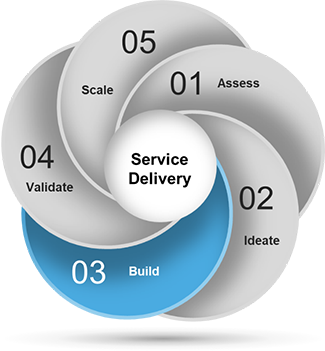 The third phase of the service delivery is a very critical phase and it helps to decide on what the core Minimum Viable Product (MVP) will be. It also helps validate the build mechanism and helps to course correct if needed. 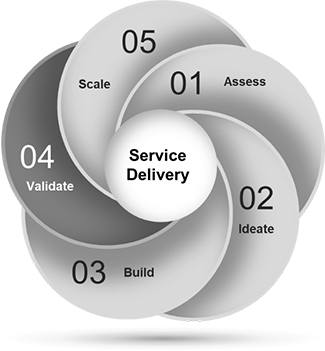 The fourth phase of service delivery is the Validate phase. 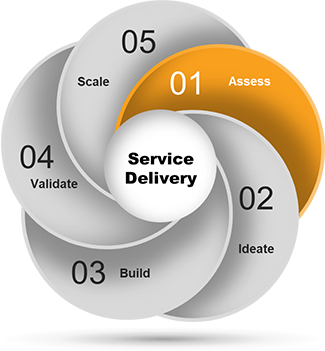 During this phase, value realization validation is done to make sure that the built product is in line with the value that it was to realize and helps make improvements to the product. The final phase of service delivery is to help scale the solution to meet the increased demand and also benchmark increased throughput.